Last night I made the best Creamy Potato Soup in the history of ever. My friend posted the recipe yesterday and it seemed so easy that I actually jumped up and went and made it. Which means it must have been a hecka easy to make or I wouldn’t have done it. I can cook, I just don’t like to cook. Seriously you guys, if you like potato soup, GO MAKE THIS SOUP. Like, right now. The only thing I did different is I used 5 fresh cloves of garlic (we like garlic!) pressed instead of the dried garlic. I also cut up some ham lunch meat and added it. Delish. Awesome and adorable kid bathroom makeover from Being Home. I Should Be Mopping The Floor made over her fireplace. Such an improvement! Make cute frames for your fridge following Junk in the Trunk‘s easy tutorial. Thrifty & Chic shares her beautiful new nursery. So in love with this wood grain ampersand from Magic City Thistle. Life. Love. Larson. is so smart. She used an old oatmeal container to make some storage for her headbands. I am a true artsy fartsy artist and I can prove it with my love for this collage art from Ramblings from The Sunshine State. So cool and original. 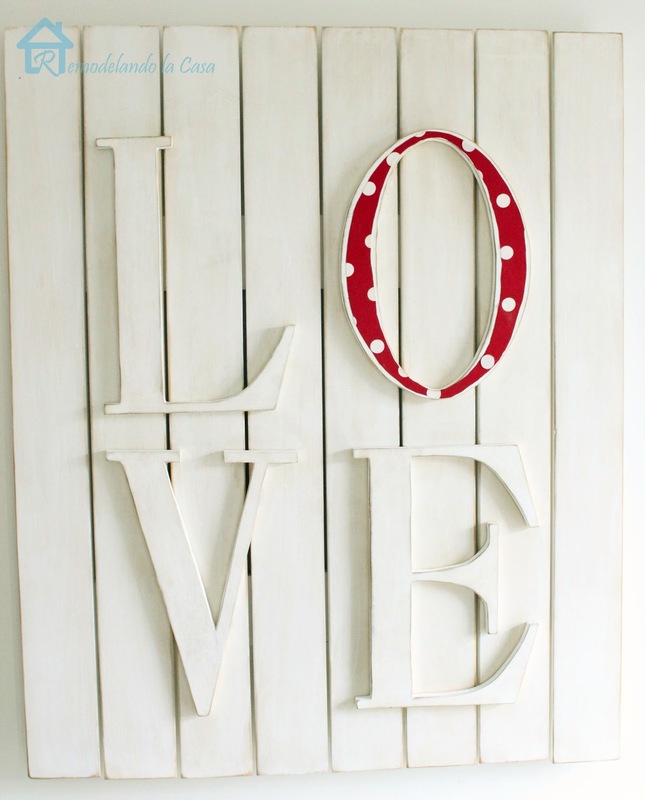 Remodelando la Casa made the most beautiful LOVE wall plaque. Just Us Four shares a great tutorial for installing your own drawer pulls. OMG, smart blogger alert! Lizy B is a genius with her tension rod dividers. It’s officially on my to-do list. Creating Really Awesome Free Things created something really awesome! 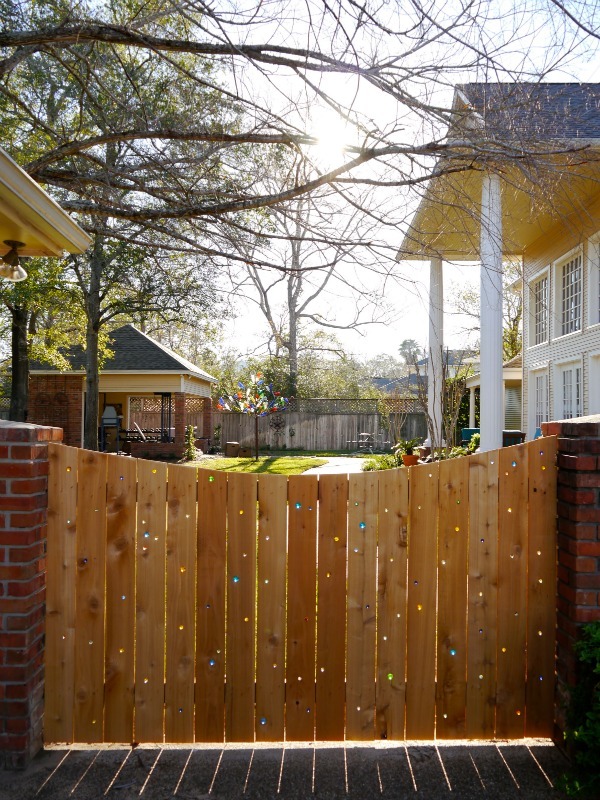 She drilled holes into her fence and added marbles. So pretty. I have never heard of the book this quilt is based after, but I am seriously digging this bright dot quilt anyway. The Seasoned Homemaker shares the quilt and a cute story. Thanks so much for hosting! Love all the features from last week.!! 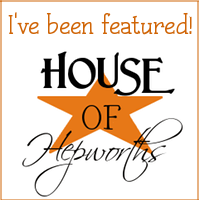 Thanks so much for hosting, and thank you for the feature! That soup sounds delicious! Thanks for hosting, lady! Thanks so much for hosting…have a happy week! Allison, Thank you so much for the feature and for hosting another great party! This party is fabulous already…thanks for hosting! Thank you so much for the feature!! You made my day! As always, thanks for hosting! Thanks so much for hosting Allison! Awesome features this week! Um, so you are seriously the best. Ever. Thank you. 🙂 You’ve made my day. So glad you like the soup. Thanks for hosting again Allison. Have a terrific week! 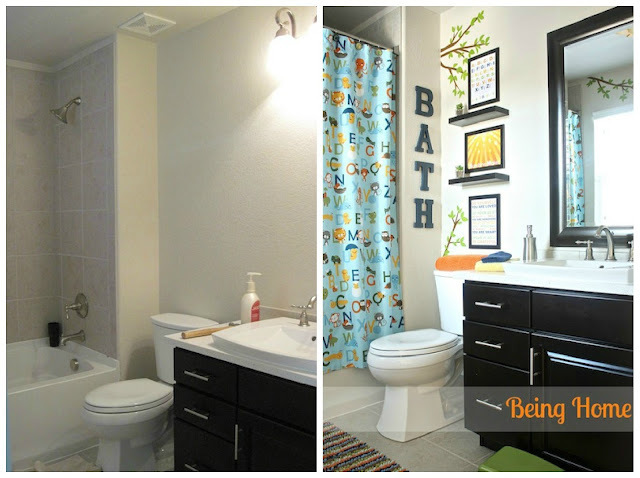 Allison, thank you so much for featuring my boy bathroom makeover! What a wonderful way to end my day. Thank you Allison, your linky party looks great! Love this weeks features! Thanks for hosting! Just ‘found’ your blog! It’s great! I added a post to your recipe link. Thanks for hosting! Thank you so much for hosting. LOVE that kid’s bathroom makeover! Thanks so much for featuring my tutorial for installing Ikea door handles. I really appreciate it! Love the party every week. Great Hooking up party! I am trying that potato soup! I also love the tension rod idea for pans…genius! That featured nursery rocks! Thanks for hosting! I’m not a soup lover, but I do enjoy baked potato soup–may need to check out that recipe! Just made my own recipe over the weekend! I linked up my recipe for the Best Popcorn Ever! and a little tradition we do in our family for Valentine’s Day! Have a great day, thanks for hosting! Always amazing features! 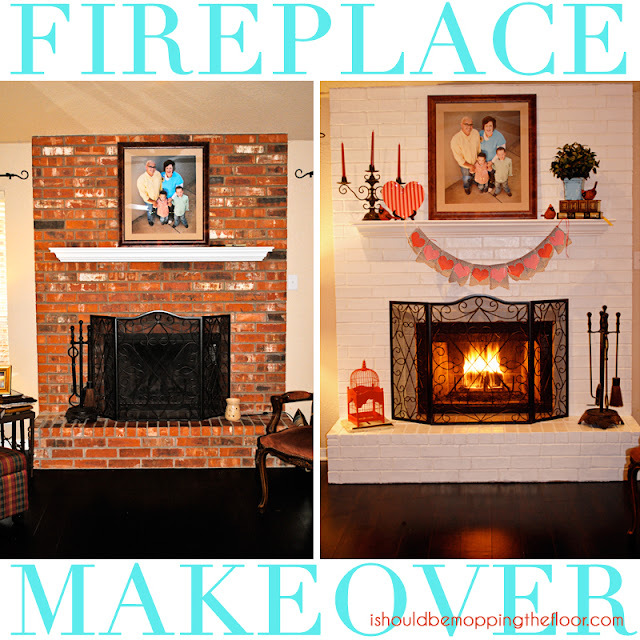 Loving the makeovers, thanks for hosting! Thanks for hosting, Allison. This is my first time : ) I love your features from last week. I’ll be making those refridgerator frames for sure! I love Potato soup! Sounds delicious on this cold day. Thanks so much for hosting! Thanks so much for the great hop. Please stop by my site on Wednesdays for Wonderful Wednesday Blog Hop! New follower, here. As always thank you so much for hosting this lovely party. Have a great weekend. thanks so much for always hosting and for once again featuring my little kitchen tips! linking up some cookies (of course) and talking about cookie sheets this week! Thanks so much for hosting this party! I hope you have a fantastic weekend.